The FZ100 portal milling machine from Zimmermann is designed for volume machining of aluminium, steel, cast iron and model making materials. 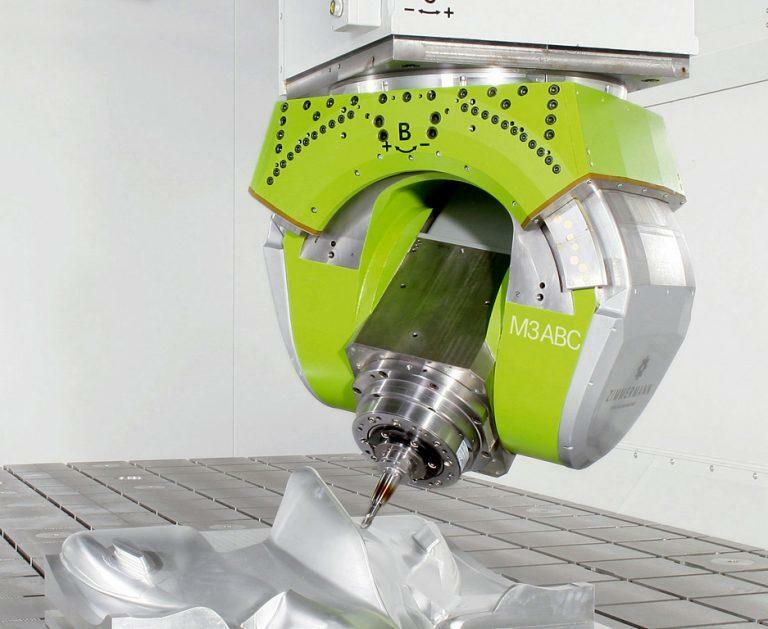 It uses a unique 3 axis milling head to allow simultaneous 6 axis CNC machining that cuts production times by as much as 75%. It is a machining solution for high accuracy production of large aerospace and automotive parts, plus model-making and mould applications.